According to a new research report from the analyst firm Berg Insight, the number of active fleet management systems deployed in commercial vehicle fleets in Russia/CIS and Eastern Europe was 2.2 million in Q4-2012. Growing at a compound annual growth rate (CAGR) of 22.6 percent, this number is expected to reach 6.1 million by 2017. The leading fleet management providers in terms of installed base in the CIS and Eastern Europe include diverse players from a number of countries. Belarus-based Gurtam is established as the leading fleet management software provider active across most countries in the region with more than 220,000 vehicles managed through its Wialon platform. Arvento Mobile Systems from Turkey and TechnoKom from Russia are moreover top-ranking telematics players on their respective domestic markets. Other major Russian solution providers include M2M Telematics, ENDS and Russian Navigation Technologies. These have all estimated installed bases in the range of 60,000–85,000 active units. 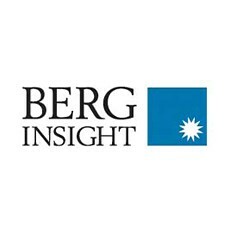 Berg Insight anticipates that the fleet management market in Eastern Europe and the CIS gradually will converge with the developments in Western Europe. “The major Russian solution providers are on the other hand still primarily serving large corporations with standalone systems whereas subscription services are mainly adopted by SMBs.” He also anticipates that web-based services based on recurring service fees will become the primary focus also for major enterprise fleets on the Russian market. Another important trend on the European market is factory-fitment of OEM truck telematics. These systems are in general available also to customers in Eastern Europe and sometimes in the CIS. The local Russian manufacturers have however not yet embraced this development and the telematics activities so far remain limited to collaborations with aftermarket solution providers. Ultimately, the local truck manufacturers in the CIS are also expected to introduce proprietary telematics systems including vehicle tracking, remote diagnostics and other fleet management functionality. Market dynamics will foster this development, not the least due to the increasing competition from Western truck OEMs that aspire to gain market shares in this market.